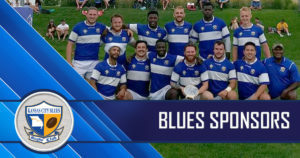 The Kansas City Blues play in the USA Rugby Division 1 competition, which is the highest level of amateur competition within USA Rugby. We also field a Division 2 team that offers new or inexperienced players a chance to learn the game while allowing them the opportunity to advance onto the D1 side. During the Summer, the Blues also feature one of the most successful 7’s programs in the country. 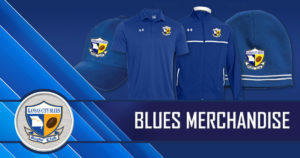 The Blues have been a prominent team both regionally and nationally since their inception in 1966 and have a long history of success with many tournament & league championships and several National Championship & National Final Four appearances. The club has also produced many USA National Team players in both 15’s & 7’s and has hosted dozens of National Team players from other countries as well. Today the Blues are made up of men from all walks of life and various athletic backgrounds. 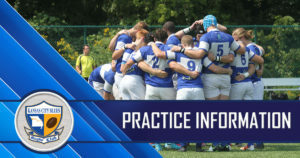 The Blues currently practice and play their home matches at the Children’s Mercy Training Facility at Swope Soccer Village and compete in the Midwest Rugby Premiership. Interested in learning more about playing rugby or attending our matches? Please click on the links. Are you an athlete seeking high level competition? Come try rugby! Contact us at kcbluesinfo@gmail.com or call 913-626-1069 for more info.